"I take elements from the world, I remove them from their usual context and put them back together according to other orders, so that, thanks to a new and unusual relation of contrast, similarity or assumption, I re-examine that which we call reality." This is how Eulàlia Grau (Terrassa, 1946), one of the most vociferous voices of protest of her generation, defined her work in the 1970s. Her photomontages, which include images taken from the media, denounce the institutions of education and family, gender stereotypes, class differences, worker exploitation and the structures on which power is founded. 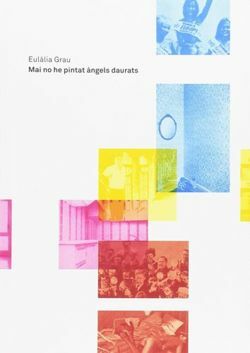 The catalogue reproduces a selection of works on which an article by Teresa Grandas, curator of the exhibition, provides a comprehensive commentary.